Hostel Detroit works to educate travelers about the past, present, and future of the city of Detroit. They seek to create experiential connections between Detroiters and visitors to foster creativity and global understanding of an often misunderstood city. Owner: Nobody! We are a 501(c)(3) run by a board of directors. 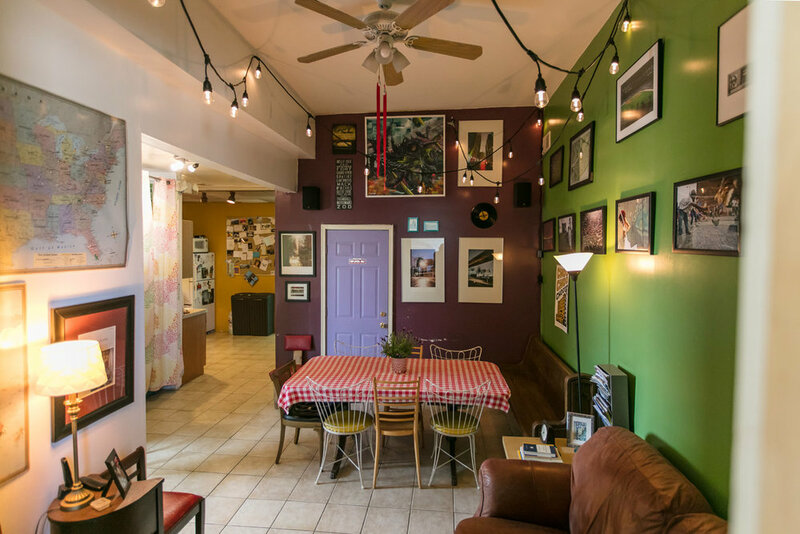 What makes Hostel Detroit special? Hostel Detroit is dedicated to being the catalyst for educational and cultural exchange between Detroit and the global community. We are a 501(c)(3) educational non-profit that looks to connect visitors to Detroit and the people and places that make our city great, while providing context to the misconceptions that Detroit faces on a global scale. Our goal is to teach our visitors about the history and evolving future of our city, and we want our guests to leave Detroit with the perspective of someone who has experienced it first-hand and was able to interact at a hyper local level. We want them to eat from our urban farms, cycle our streets, enjoy the city's thriving small business community, and take in our festive atmosphere. We help hostel guests tap into what’s happening in Detroit, especially through our personalized Ambassador Tours, which are led by local volunteers. While doing all of this, we want to keep Detroit affordable. Our dorm beds start at $30 and private rooms start at $60. Our founder, Emily Doerr, was able to work with fellow community members to sign a lease at our current location back in 2011, when Corktown was still in the early stages of creating the dense and eclectic business community we see today. Since then, we have been able to introduce the city through our wonderful neighborhood, and it worked out so well that we purchased our property in 2016! Corktown is the perfect launching pad for our guests because it gives them the ability to check out any particular interest may have, whether it is art, architecture, food/drink, urban farming or community enhancing projects and events. The short distance to the Greyhound Station, the new FAST line to and from the airport and the close vicinity to neighboring communities truly make Corktown the best place to start any guests' introduction to Detroit! The CBA has been a tremendous benefit to not only our organization, but to the experience of our guests. Connecting with our fellow business association members has lead to numerous partnerships over the years, and we have also been very impressed with the way the CBA has represented the Corktown community. Building these relationships with our business community neighbors has made our jobs easier as well, given that we can share with our guests all of the exciting places to check out while in Corktown. The CBA rocks! What are some goals or upcoming announcements for Hostel Detroit? We are currently fundraising for our expansion! Donations can be made HERE and official Hostel Detroit t-shirts can be purchased HERE.